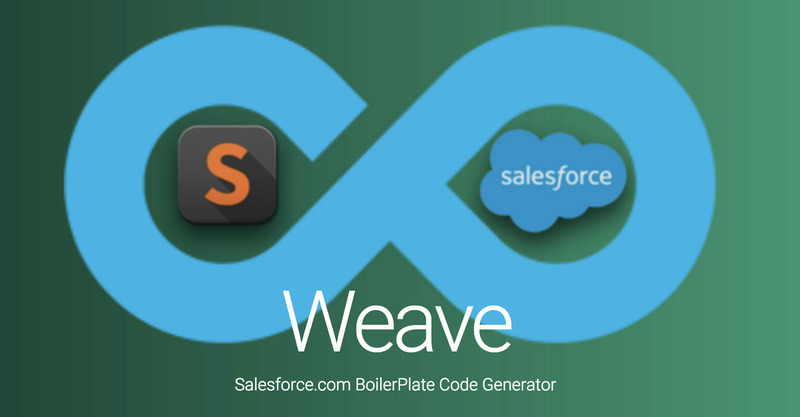 Announcing Weave, a coolsome project, that generates boilerplate code for creating cutting age visualforce pages and apex code patterns for Salesforce on your Sublime Text Editor. A homegrown product of our lab experiments. While working in large team, you might need to bring code consistency among the team. Weave generate out box template code to bring your team productivity upto speed. I open-sourced this project to get more ideas from developer community and correct templates and simply standards of the platform across the board. We wrote generic template based off of Material design that can be easily generate through by typing 'vf_' and '<tab> in your machine, here are few glimpse. Note Vf_ generates all visualforce templates. Can it Weave Apex ?